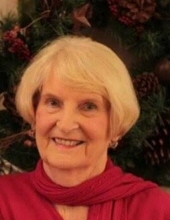 Anna Louise Hamilton, 85, of Cloverport, KY passed away January 27, 2019 at the Heartford House in Owensboro, KY.
Anna was born June 17, 1933 to the late Andrew Jackson Lindsay and Lucinda White Lindsay. Besides her parents, she was preceded in death by her son: Chester Louis, brothers: Muriel Edward Lindsay, John Pate, Wallace Lindsay, Charles Pate, sisters: Lucille Mefford, Mary Ella Payton, Katherine Blake and grandchildren: Andrew Kast and Sheldon Sharp. Anna was a member of the Cloverport United Methodist Church, Eastern Star, Cloverport Homemakers, United Methodist Women, chairperson of Cloverport Planning and Zoning. She loved to travel, loved basketball. She was a devoted grandmother and attended all her grandchildren’s sporting events including basketball, football, baseball, cheerleading, wrestling, tennis and soccer. Anna also loved to attend her grand children’s band competitions and orchestra events. Leaving behind to mourn her passing but celebrating the life that she lived and loved is her husband: Glenn Hamilton, son: Tim (Sherry) Hamilton, daughters: Beverly (Hal) Jennings, Glenda Nikki (Kevin) Kebortz, Terrie (Dwight) Sharp, 9 grandchildren, 13 great grandchildren and a beloved pet named Bare. Her first great-great grandchild is expected to arrive in February. A celebration of life will be held at 11:00 am, Saturday, February 2 at the Cloverport United Methodist Church with Brother Bobby Stinnett officiating. Burial will be in the Cloverport Cemetery. The family will receive friends from 3:00 pm to 8:00 pm on Friday, February 1 at the Cloverport Funeral Home and Saturday from 9:00 am until service time at the church. The family has requested that donations be made to the Heartford House Hospice. Envelopes are available at the Cloverport Funeral Home. You may share your thoughts and memories of Anna with the family on our website: cloverportfh.com. To plant a tree in memory of Anna Louise Hamilton, please visit our Tribute Store. "Email Address" would like to share the life celebration of Anna Louise Hamilton. Click on the "link" to go to share a favorite memory or leave a condolence message for the family.